A 75-strong team competed against four other schools at the annual event at Grimsby Swimming Pool and organised this year by Tollbar Academy. Healing School won six trophies in total, including the overall Challenge Shield. 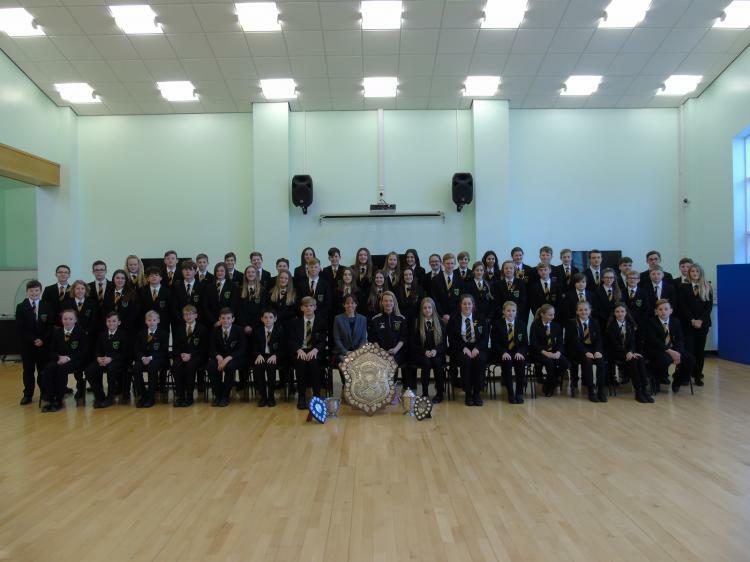 Category successes were recorded by the Year 7 boys, Year 8 boys, Year 8 girls, Year 10/11 boys and overall boys. Healing School's swimming coach and deputy head of PE Helen Arnold was proud of the whole team. "For a school half the size of some of those competing to have taken six titles, including the overall District Championship shield, is nothing short of exceptional," she said. "They performed on the day just how they have in training – with dedication and pride for their sport and their school. I simply could not be more proud of them." It was difficult to pick out individuals but she praised the boys' and girls' captains, Alex Woods and Sophie Wilkinson. Alex, in Year 11 and a national-level swimmer, had "outstanding individual and medley performances, showing the true qualities of a captain and leading from the front." "Sophie assisted with coaching of the younger students, using the skill she has gained as a top level competitor and swimming teacher for her club. She is a role model for all." Miss Arnold thanked swimming clubs GAST and CADS for their continued support of the school's swimmers throughout the season and officiating on the day. "I'd also like to thank the parents supporting on the day, who were fabulous, with so much positive feedback and praise for the event." Principal Michelle Dewland congratulated the team on returning the shield to the school. "We are so proud of our swimmers. What a fabulous achievement," she said. "The whole team has displayed an enormous amount of commitment to prepare for the event and I'd like to thank their parents, coaches and staff for their support."